The headlines says it all! Yes, it seems that the world is drinking less beer causing a global dip in alcohol sales. And the Russians are drinking less vodka too, as their economy declines, while the Americans have fallen out of love with cider. I didn't know they had one! 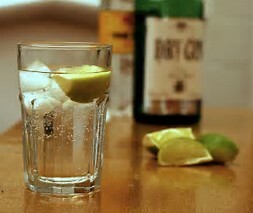 However, one drink has seen an increase in demand is gin. According to the International Wine and Spirits Record, the global market for alcoholic drinks fell by 1.5 per cent last year, driven by a fall of almost 2 per cent in beer sales. This is after several years of rising popularity in drinks such as cider. Last year, sales of this 'golden amber' went into reverse, falling 1.5 per cent on the back of an economic slump in the US. The overall fall in alcoholic sales across the world is far greater than the average dip over the past five years, which was only 0.3 per cent. Three of the world's biggest beer markets - Russia, China and Brazil have endured a shut down, with an 'ale-ing' sales base. 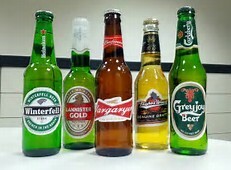 In China, beer sales fell by 4.5 per cent, with a 5 per cent drop in Brazil and almost 8 per cent in Russia. Vodka sales in Russia suffered to the tune of 4.5 per cent, largely driven by an economic fall. Amid this gloom, the gin industry is booming with global sales rising by almost 4 per cent. We Brits, bought the equivalent of 40 million bottles of the stuff - that's 1 billion Gin & Tonics.